I'm very happy to announce that Lifeless Planet has been invited to exhibit in the Indie MEGABOOTH Friday and Saturday August 30 & 31 at PAX Prime in Seattle. We'll be in the Minibooth section! This is a huge opportunity for exposure for Lifeless Planet. The MEGABOOTH is the largest ever--and will be *the largest booth at PAX this year! Over 5,400 square feet of space and more than 80 games, the MEGABOOTH will be a huge attraction for gamers and press. If you're one of the lucky people with PAX tickets, please come by the booth and say hello. While you're there, you'll be able to play the game. 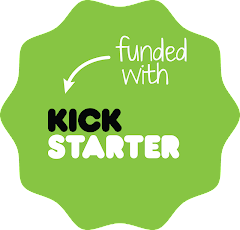 Even if you're a Kickstarter beta tester, I'll have new content you haven't seen yet. Note we're in the Minibooth so we're only exhibiting Friday and Saturday. Hope to see some of you there! Lifeless Planet is a new action-adventure game for PC/Mac, Xbox One and PS4. 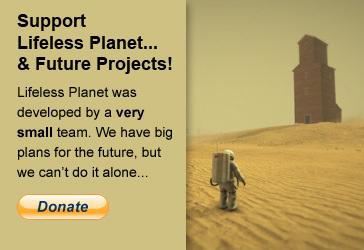 A portion of profits from the sale of Lifeless Planet goes to support science education. 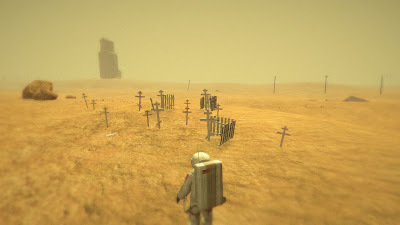 Lifeless Planet is more than just a video game. It's the expression of my passion for creating media that inspires. It's the culmination of years of learning, experimentation, and ambition. I'm trying to deliver something different from what you usually get from the big studios and publishers. As primarily a one man team I know I have to be realistic with my goals, but I do hope to surprise people with what can be produced by a small team with the desire to create something unique and unexpected. At the same time, there's no way small indie studios like mine could exist without the amazing set of tools and technology available to game developers today, or without the backing of active, engaged communities of people. This is a revolutionary age, and I don't use that phrase lightly. In short, I'm pouring my heart and soul into this project, and I can't thank you enough for taking an interest in Lifeless Planet. ©2012 Stage 2 Studios. All rights reserved. Powered by Blogger.